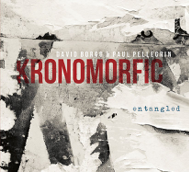 Kronomorfic, co-led by saxophonist David Borgo and drummer Paul Pellegrin, is an ensemble dedicated to the exploration of polymetric time. The compositions develop multi-layered rhythmic phrases using interlocking melodies that evolve through rhythmic modulations and individual and collective improvisations. 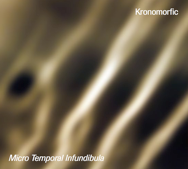 The ensemble’s first album, Micro Temporal Infundibula, was released in 2010 on pfMENTUM Records. The second installment, Entangled, was released in 2014 on OA2 Records. Kronomorfic’s music is innovative yet surprisingly approachable. The compositions traverse complex rhythmic dimensions (e.g., 3:4:5, 3:5:7, 6:7:9, 8:12:15, 7:11, 9:13, 11:18), but in the end the music grooves, the melodies linger, and the solos burn. In addition to Borgo and Pellegrin, the group has featured a host of extraordinary musicians, including: Bill Barrett on chromatic harmonica, Michael Dessen on trombone, John Fumo on trumpet and flugelhorn, Emily Hay on flute, Ben Schachter on tenor saxophone, Peter Sprague on guitar, Brad Dutz and Anthony Smith on mallet instruments, Mark Dresser, Andy Zacharias, and Danny Weller on contrabass, and Paul “Junior” Garrison on electric guitar and effects.